Under the patronage of the Private Schools Directorate Head Dr. Intisar Al-Odwan and in the presence of the artist Dawood Jalajil, ‘The Sea I am’ play has been performed on the stage on the occasion of the International Day of the Arabic Language. This magnificent poetic play presents the idea of going back to our mother language in a different and distinguished way where the students have embodied the role of some poets starting from the pre-Islamic era until our contemporary time in a serious and comic way at the same time. 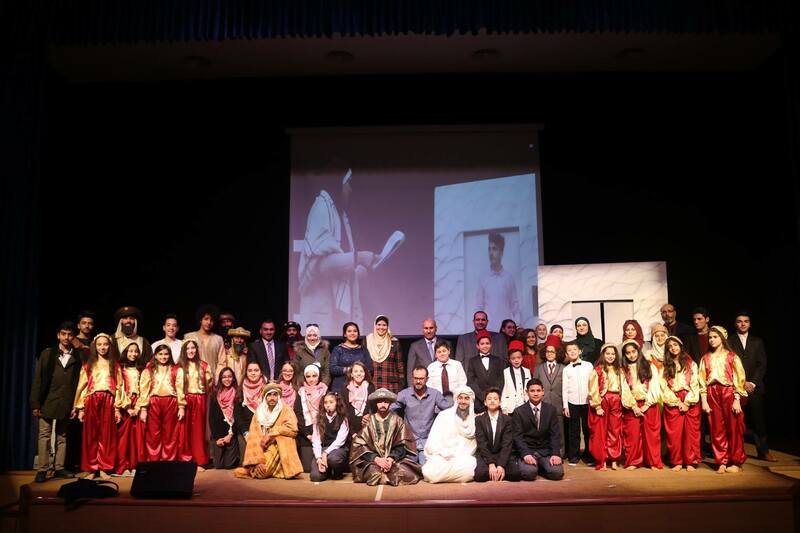 The Chairman’s Deputy of Mayar International Schools Dr. Ahmad Salah has attended the play alongside with attendees from the universities, some official institutions and our students’ parents expressing their pleasure and cheerfulness of the impressive performance they witnessed on the stage. 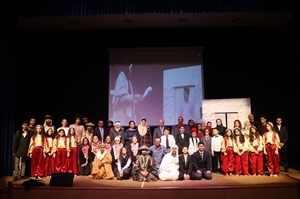 This performance has been crowned by the scenario which has been written by Mrs. Ruba Hamaideh and the great efforts of our staff members: Mu’taz Abu Al-Ghanam, Majida Al’Araj, Noura Al-Muhtasib, Muhammad Fadel Al-Mawla, Muhammad Baghdadi, Asma’ Al-Bawab, Amal Oudat in preparing the students to act, sing and perform. We would like to also thank the teachers in the Art and Vocational Studies departments who creatively designed the decorations and make-up and thank whoever participated in directing this play. This innovative work has been directed by Mr. Mu’taz Abu Al-Ghanam. We would like to extend our sincere thanks to the students and their parents who endlessly supported and encouraged their sons and daughters.